IPL5’s happening in Vegas, and it’s all Starcraft 2 this, League of Legends that and Pina Colada the other. You know what it’s like. 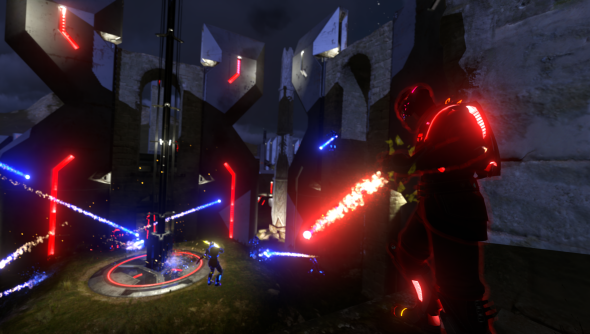 But there’s also Nadeo’s nifty FPS, built from the ground up for eSport play. While the game isn’t released until January 23rd next year, IPL marks its very first tournament – with a prize pot of $100,000. Here’s the link to the Twitch feed, but you won’t find anything much there just yet.The tournamentbeginsat midnight (GMT) with the Wild Card Qualifiers, and ends 10:30pm Sunday with the Finals. When our Paul previewed Shootmania, he found a mega-minimalist FPS where life is cheap and knowing your level layouts is all.